The Code Reader 3500 (CR3500) establishes a new benchmark for Portable Data Terminals and Hand Held Computers by combining Code’s new high-performance bar code reading technology with a graphic display and rugged keyboard. The CR3500 is the smallest and lightest full-featured bar code reading terminal on the market and the only batch PDA in its class with a 2D area imager. are available with a Bluetooth Class I or Class III radio. 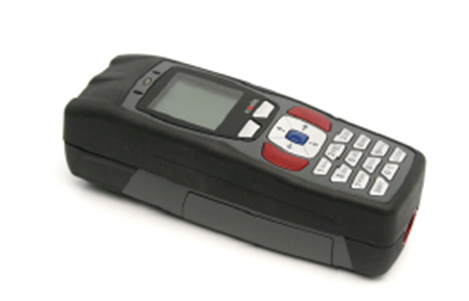 The Code XML Bluetooth Modem enables simplified wireless transmission of captured data to a host computer or system. In Healthcare applications, the rugged design and disinfectant resistant housing can give you peace of mind knowing that the CR3500 can operate reliably 24/7/365. The CR3500 is an ideal bar code reader for inventory management, manufacturing, public safety, industrial automotive and defense environment.